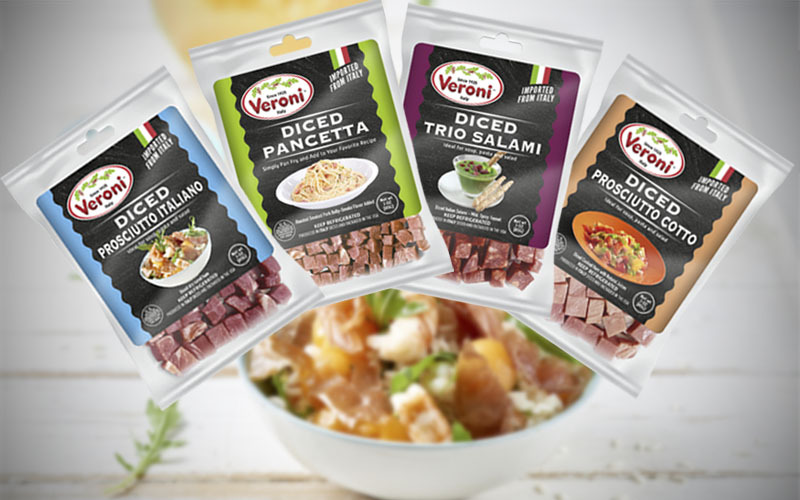 We are so excited to present to you our brand-new range of Veroni diced cured meats. 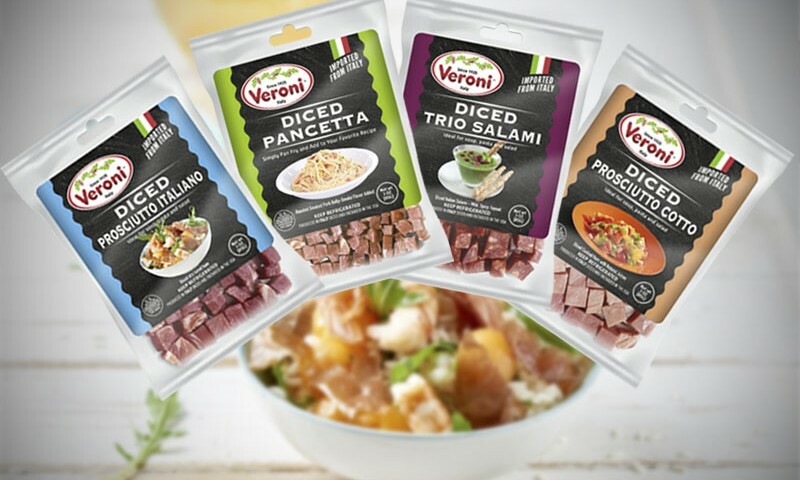 The range consists of your favorite Veroni salumi which is pre-cut into cubes and pre-packaged giving you the convenience of a ready-to use product for recipes but also keeping the full flavour of all products that are 100% Italian made. The range includes four varieties of cured meats from prosciutto Italiano, pancetta, prosciutto cotto and salami trio which are all produced in Italy and then brought to the Veroni plant in New Jersey to be diced and packaged to ensure we offer you the freshest and best tasting products. These diced cold cuts can be incorporated into an endless amount of delicious recipes, without the hassle! Consider the Prosciutto Italiano for a hearty salad, the pancetta to create a classic pasta carbonara, the prosciutto cotto to mix with your favorite pizza toppings and the salami trio for your next antipasto platter. We have specifically designed these products to work in with your busy lives to make sure, even when there is limited time to prepare, you can always enjoy a delicious and genuine meal with the true flavors of Italy. Let our latest recipe for a classic Italian carbonara inspire your next dinner, find the recipe here that uses Veroni diced pancetta.